Are you a male who is looking to dress to impress? When it comes to dressing to impress, it is advised that you do a little bit of research. Unfortunately, when it comes to this type of research, many people mistakenly believe that they need to start reading fashion magazines. This is something that can put many people off, especially when comparing yourself to the models in them. Although fashion magazines are a great way to learn about the latest in fashions, even workplace fashions, fashion magazines are not your only option. You can use the internet or business magazines or business journals to your advantage. What you should do is read any articles that focus on men dressing for success and examine any pictures that you may come across. 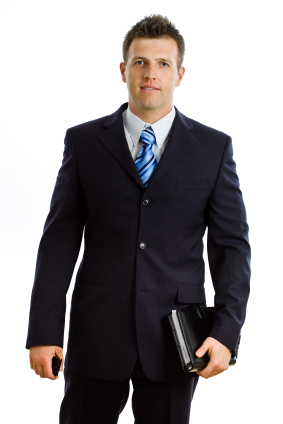 If you are interested in dressing to impress at work, it is advised that you first examine your dress code. It is not uncommon, especially in today’s society, for many companies to have rules and restrictions surrounding what can or cannot be worn in the workplace. Not doing so could result in you unintentionally breaking the rules or violating company policy. It is best if you examine your company’s dress code, which should be outlined in your employee handbook, before you got out shopping for clothes. In keeping with dressing to impress at work, it is advised that you take a look at those around you. You may want to follow in the footsteps of your coworkers or supervisors. Yes, you may want to take it one step higher and dress for success, not just professionally, but you are advised to proceed with caution. Overkill can do much more harm than good. This is just an important point that you will want to always keep in mind. For instance, a tuxedo may be out of place at an office where jeans and polo shirts are worn! Another tip that can help you dress to impress involves using your common sense and your best judgment. These two resources are the most helpful, when it comes to dressing to impress. If you are unsure as to whether or not a piece of clothing may give off that dress to impress impression, it may be a good idea to examine your other options. Dressing to impress involves displaying confidence, not indecision. The above mentioned tips are just a few of the many tips that you can use to go about dressing for success.